The POPPY ARKOCAPS, food supplement helping to relax and find a peaceful sleep. Poppy, a native of the Mediterranean Basin is a plant with pretty flowers of bright red that adorn the fields me in May Phytotherapy Poppy petals are used. Petal Poppy contains alkaloids that have mild sedative properties without the risk of addiction, and eliminate anxiety, nervousness and emotion. 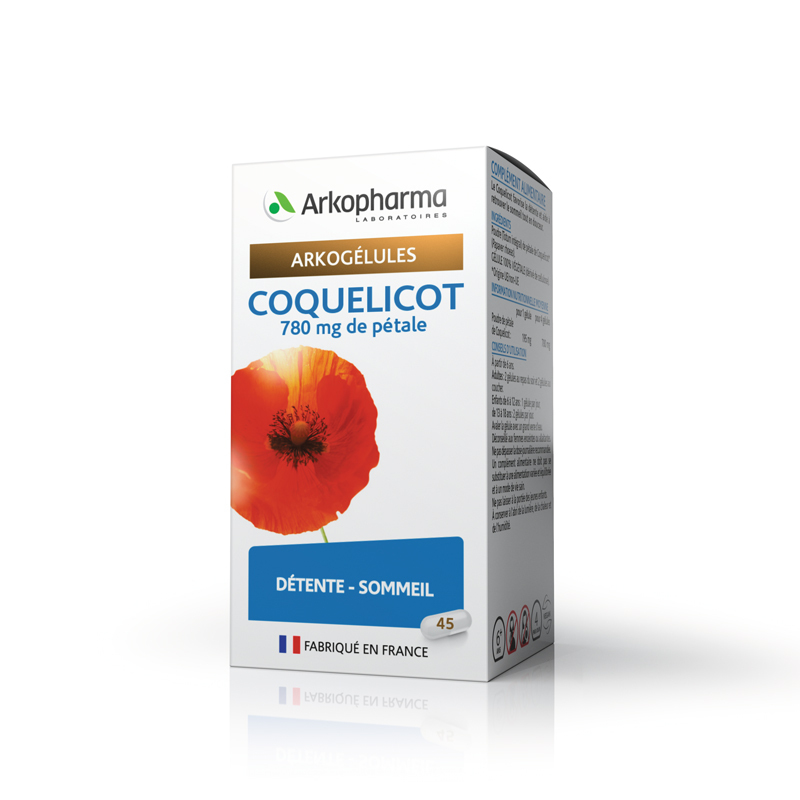 The ARKOCAPS Poppy possible to find serenity and calm sleep. Because of their very gentle action, they can be given without problems for children and the elderly. At dinner, take 2 capsules with a large glass of water and repeat 2 capsules just before bedtime.